Mitt Romney has taken some heat for comments made at a Republican fundraiser disparaging "47 percent" of the American people as leaches who get government benefits and "believe that they are victims." But perhaps even more troubling was his claim that he would be better off politically if his father were Mexican. Given Mitt Romney's limited intellect and his clumsy people skills, the odds are that he never would have made it very far in America if he had not been born into a family of prominence and privilege. Yet, in Romney's mind, he's the victim here, the beleaguered white guy from a rich family; the kid who attended top-ranked prep schools and Harvard University; the business executive who was set up by wealthy friends with tens of millions of dollars to succeed in private equity. Romney was born on third base with a silver spoon in his mouth and convinced himself that he had not only hit a triple but had taught himself to be a world-class silversmith. But now he finds himself struggling in the presidential race against an African-American with the middle name Hussein, who grew up a semi-orphan with an absentee father from Kenya and a single mom living part time in Indonesia, raised mostly by his aging grandparents in Hawaii, and who required scholarships to get an education. So, naturally, it is Mitt Romney who deserves our pity. In the recently released video of Romney's comments at a closed fundraiser last May, Romney is heard lamenting that he would have a better chance to win the White House if his dad were Mexican. 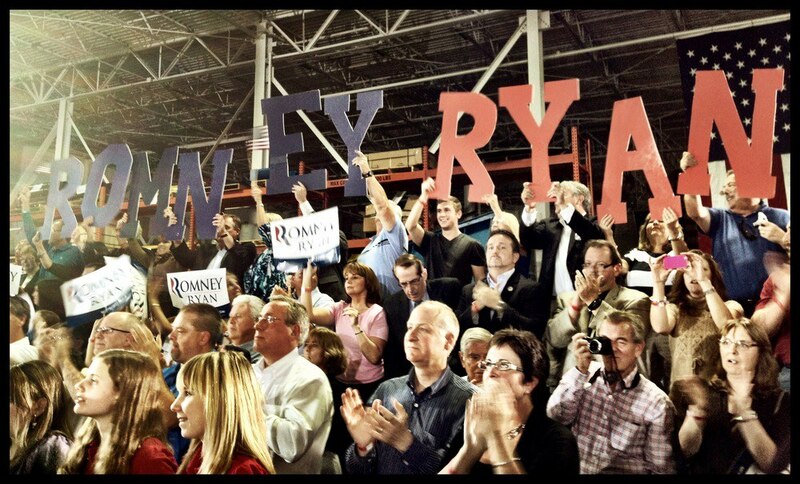 "My dad, as you probably know was the governor of Michigan and was the head of a car company," Romney said. "But he was born in Mexico, and, uh, had he been born of, uh, Mexican parents, I'd have a better shot at winning this." This self-pitying comment -- the New York Times characterized the remark as "joking" -- recalls another clunker told by Romney last month poking fun at President Barack Obama for being the target of right-wing "birther" conspiracies challenging the Hawaii state records showing that Obama was born in Hawaii. "Now I love being home in this place where Ann and I were raised, where both of us were born. Ann was born in Henry Ford Hospital. I was born in Harper Hospital. No one's ever asked to see my birth certificate. They know that this is the place that we were born and raised." After the "punch line," Romney paused to take in the appreciative laughter and applause from his predominantly white audience. U.S. media pundits were quick to reassure the American people that -- despite the tasteless "joke" referencing the racist lie that Barack Obama was born in Kenya -- the Republican presidential candidate was surely no racist. But Romney is rapidly building a record as one of those clueless rich white guys who thinks of himself as a self-made winner -- while portraying people with darker skin and less money as pathetic losers and parasites. His vice presidential running mate Paul Ryan is known as the devotee of Ayn Rand but Romney also seems to have internalized her philosophy of selfishness, which divides society into productive supermen and useless moochers. "I wondered how such vast differences could exist between countries that were literally next door to each other. How could Americans be so rich and Mexicans so poor? How could Israelis have created a highly developed, technology-based economy while their Palestinian neighbors had not yet even begun to move to an industrial economy?" Romney praised the writings of Harvard professor David Landes, who in Wealth and Poverty of Nations said "culture makes all the difference."